Our realistic 9 light lodge antler chandelier combines reproduction antlers and bark together making this a stunning rustic chandelier. Included are 9 matching leather wrapped shades. 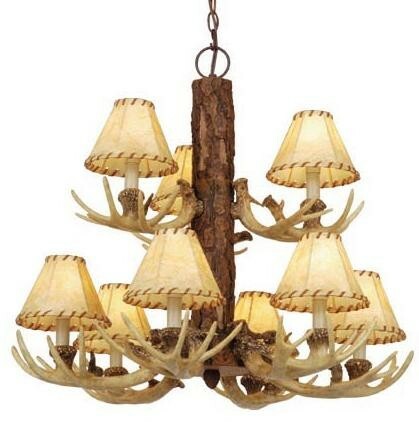 Our realistic 9 Light Lodge Antler Chandelier combines reproduction antlers and bark together making this a stunning rustic chandelier.